Journal writing can be your window to wellness. My wife of 21 years did not survive ovarian cancer. Her struggle with the disease was a long one—for both of us. Cancer is never a solo journey after all. 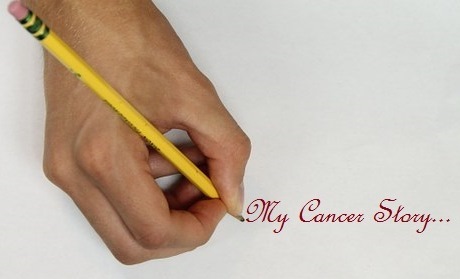 But looking back at those years from 1993 to 1996, there are some great lessons that I have carried with me, and now are more relevant than ever since I too have been diagnosed with cancer of my own. One thing that has added great comfort and a tangible sense of purpose to my life both then and now is journal writing. During the long months that we dealt with her disease, I decided to write a novel, and each night I would read her two or three pages of the story as it unfolded. It was pure fiction – an action story about four teenagers whose hobby was practicing the art of stage magic. In the story, along with a school professor as their chaperone and mentor, they travel to Nepal to uncover the secret behind a group of Sherpas who were rumored to be able to levitate. The trip is secretly funded by the Department of Defense, since this alleged ability would be an invaluable power to harness. Naturally, the kids are forced to use their magic skills to evade a series of harrowing situations. I had as much fun dreaming up the tale as I had revealing the daily plot to my wife at her bedside, and this nightly reading became a much anticipated part of our day. It was good for both of us. After my own diagnosis and surgery, I had a renewed yearning to express how I was feeling, but this time it wasn’t my intention to create a story so much as it was to chronicle my thoughts about survival and the day-to-day experiences of living with breast cancer. Journaling is an intimate form of expression that more often than not seems to reveal how we really feel. As a man, I find this particularly liberating since it’s often perceived that guys find it difficult to be as expressive and open as women—especially under the pressure and stress of having a spouse who is ill.
It’s interesting to note that many psychologists reject the notion that men actually experience emotions less frequently than do women. Instead, researchers have suggested that men exhibit “restrictive emotionality.” Restrictive emotionality refers to a tendency to inhibit the expression of certain emotions and an unwillingness to self-disclose intimate feelings. It’s not that we don’t feel it. We just don’t express it all that well. And that’s where writing comes into play. The written word offers all of us, both men and women, an opportunity to document and validate those emotions we carry and a means for expression that is often difficult to equal in a world of the spoken word. For those of us living with cancer, the journal or any form of writing for that matter, can be a shared experience or completely private, but the words are a powerful release of emotion that encourage a flow of feelings—and often the occasion for self-discovery that can be both healing and emancipating. The fact is, you are reading my own journal at this very moment. If journaling doesn’t quite fit your style, I suggest you start out with a daily “calendar of events.” Add some footnotes, and if you feel really daring, a bit of simple poetry is worth a shot. Remember, you’re not necessarily looking for a publisher! And just think, once your bout with cancer becomes nothing more than a page in your history, which is something we all hope for, looking back at the road you traveled might make some interesting reading. After all, it’s your life. And I can’t think of a better story than that.